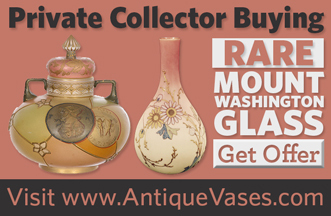 This Royal Flemish vase has a much lighter glass color than you will find on most examples. However, it still has the unmistakable gold work of Royal Flemish. 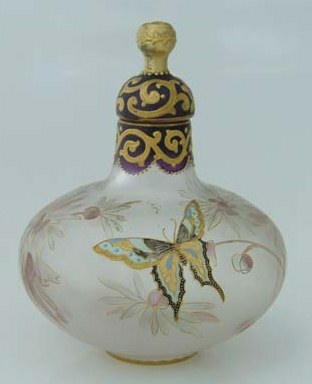 This particular example is decorated with a beautifully painted butterfly. This is one of the nicest pieces of Mount Washington glass that you could hope to find.